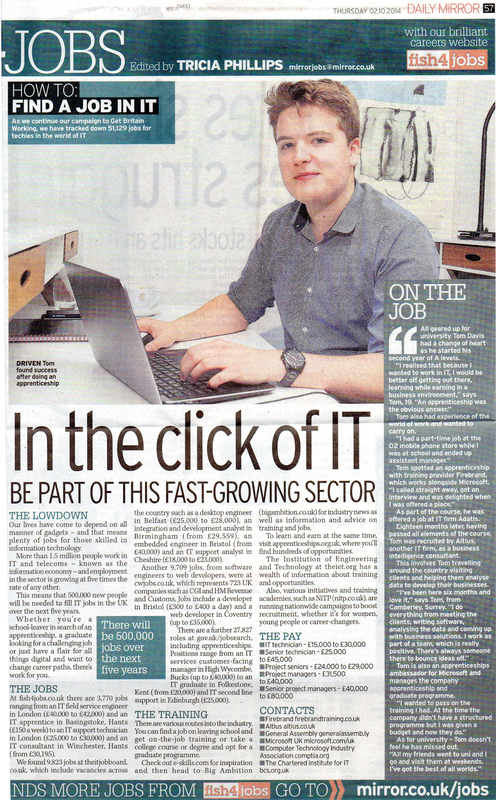 If you read the Daily Mirror this week you might have spotted Tom Davis, one of our talented Firebrand Apprentices. He contacted Firebrand and after an interview with IT firm, Adatis, Tom was successfully hired. 18 months later, having passed all elements of the course, Tom finished his apprenticeship and was recruited by Altius, another IT firm, as a business consultant. But that’s not all; Tom is also an apprenticeships ambassador for Microsoft and now manages Altius’ apprenticeship and graduate programs. There are more than 1.5million people working in IT and Telecoms and employment in the sector is growing at five times the rate of any other. And with 500,000 new professionals needed to fill IT jobs in the UK over the next five years, many more young people like Tom are needed. IT professionals are in high demand; the Daily Mirror found 9,823 jobs at theitjobboard.co.uk and another 27,827 roles at gov.uk/jobsearch, including apprenticeships. Know somebody with a flair for all things digital who wants to avoid student debt and earn a real salary? 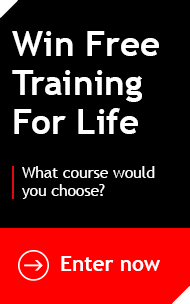 Take a look at Firebrand Apprenticeships.